Relax your senses with our 200 thread counts cream duvet cover made from 100% Egyptian cotton. This sumptuous duvet cover is perfect for giving you tremendous warmth and serene sleep. Our duvet cover in cream colour will upturn your ambiance into subtle aura. Whether you are having a traditional or modern d?cor, this cream duvet cover will compliment both the types easily. 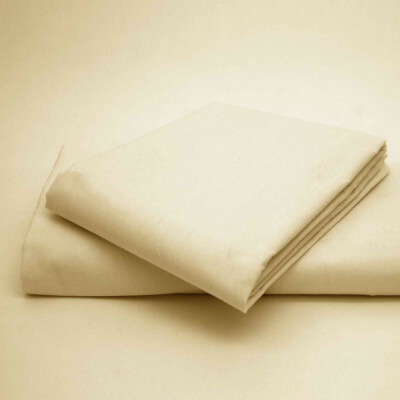 Available in various sizes, you can easily pick the one most suitable for your duvet. Our luxurious and high quality cream duvet cover is very soft, durable and handy.